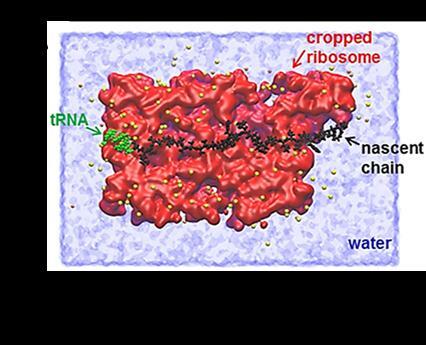 The force that pulls the protein from the ribosome is an entropic pulling force that happens naturally, according to O'Brien. Entropic force in a system is a force resulting from the entire system's tendency to increase its entropy, rather than from a particular underlying microscopic force. Entropy is the tendency for systems to become more disordered over time.